How much money will you need in Russia? ₽3,489 ($54) is the average daily price for traveling in Russia. The average price of food for one day is ₽842 ($13). The average price of a hotel for a couple is ₽3,913 ($61). Additional pricing is in the table below. These average travel prices have been collected from other travelers to help you plan your own travel budget. How much money do I need for Russia? 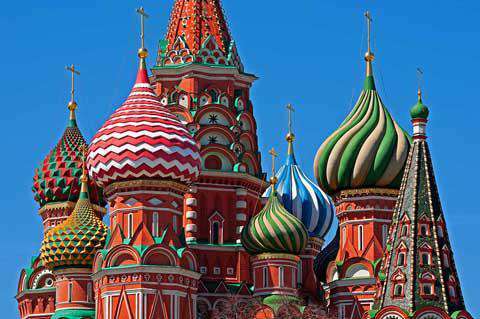 Russia is the world's largest country, and as such has many diverse areas worth visiting. Central Russia is probably the most popular region to visit in the entire country. It offers the entry point from Europe and is the richest part of the country. This is also where you will find the city of Moscow, along with much of the area's best architecture and historical buildings. Chernozemye is to the south of the central region and is notable for its role in World War II. Saint Petersburg is located in Northwestern Russia, where you will find beautiful landscapes and large lakes. Kaliningrad Oblast sits separate from the rest of Russia near Poland and Lithuania. Southern Russia has the warmest weather and many of the resort cities. The Volga Region is the most industrialized, while the Urals Region is one of the wealthiest. Siberia is the largest and most diverse. It also provides a connection to the rest of Asia. Finally, the Russian Far East is the coldest part of the country, but also has many national parks and beautiful natural scenery. Many people choose to visit Russia by doing the Trans Siberian Railroad. This is a great way to cross the country and offers a unique experience that you can't find anywhere else in the world. It's also a great way to see the remote region of Siberia, which otherwise may be difficult to access. Another popular trip through Russia is to visit the larger cities, specifically St Petersburg and Moscow. Both are wonderful cities with a lot to offer and are well worth a trip. Summer is the obvious time to visit, because it is when the weather is the most comfortable. If you're looking to experience something totally different and you have a brave soul, head to Russia in the winter months when everything is covered in snow and ice. This atmosphere gives the entire country a beautiful, yet untouchable aura. The best way to travel around Russia is by train. The train network is extensive and tracks connect most towns and cities throughout the country. Because of it's large size, travel times can be long, so it is often worth the extra money to upgrade to a higher class of travel. Make sure you understand the schedule and travel times when you purchase your tickets. Language can pose a problem when purchasing tickets, so if you have a guidebook, circle the name of the destination in the book and show it to the ticket seller. If you know someone who speaks the language, have them right down a few useful words for you. This will help you tremendously so you can avoid some unnecessary confusion. For many international travelers, obtaining a visa for Russia can be tricky. It often requires an invitation for travel. These invitations can be bought from travel shops within the country. Make sure you research your options well in advance as acquiring the visa can take time. If you're requesting the visa from a country other than your own the situation can become trickier. It's best to work out the details before you leave home. Russia has a long standing tradition in music. If you're visiting a city for a few days, try and get tickets to a classical music concert. The orchestras are quite impressive and the theaters are a fun place to experience the local culture. It's important to keep your currency very clean and crisp. It's easier to exchange bills that are not worn or torn. When you're given cash in change, flip through it and make sure the bills are in good condition as well. ATMs are available all cities and most small towns. Some ATMs do not accept foreign cards, so if you're having trouble finding one that does, go into an upscale hotel where you will likely have better luck. Most ATMs also have an English interface as well. Lake Baikal: In eastern Siberia, this lake is the biggest and deepest freshwater lake in the world. It is also the world's oldest lake with its age estimated at about 25 million years or more. It is also a stunningly beautiful sight in both the winter and summer months. Russian food is known for its hearty and filling natural. Many of the national dishes are derived from peasant foods and make use of readily available staples that can withstand the country's harsh climate. Many of the dishes are made from potatoes, poultry, mushrooms and fish. The meals often include soups and stews that combine meats and vegetables into one hearty dish. Vinegret: This salad is made from boiled beets, potatoes, carrots, and vegetables and is served with a vinegar dressing. It's a popular New Years eve dish for many Russians.